Have your tried the newest product from Jollibee? From billboards and tv commericials, to posters and newspaper ads, the new Jollibee Glazed Chickenjoy seems to be the latest talk of the town. 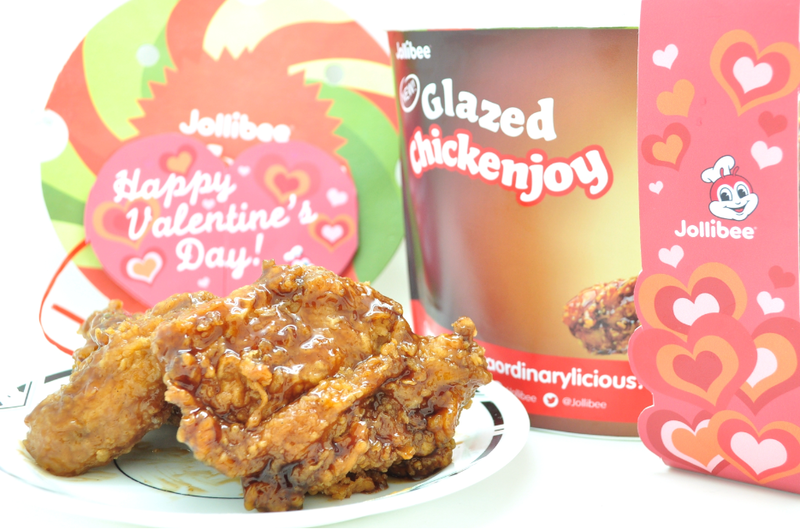 My Valentine's Day just got sweeter when I received a bucketful of Jollibee's new juicylicious, crispylicious, extraordinarylicious Glazed Chickenjoy! I am a big fan of Jollibee's original Chickenjoy, but sometimes, things are better when made sweeter. And that holds true to the new Glazed Chickenjoy from Jollibee. Crispy.. Juicy.. Sweet.. and Spicy.. It's really an explosion of flavors! The sweet and savory glaze generously coats the crispy and juicy fried chicken for an extraordinarylicious twist to our favorite Chickenjoy. While the classic Chickenjoy still holds a special place in my heart, the new Glazed Chickenjoy definitely deserves to share that space. Get the new Jollibee Glazed Chickenjoy value meal for only P90, or add a side dish of your choice for only P102. The 6-pc bucket is at P378 while the 8-pc bucket is at P499 only!